Welcome to the new updated website of the Sussex Steam Engine Club. We hope you find the site informative and enjoyable and would welcome any comments and criticisms via the contact form. Please feel free to forward any items and photos which you may also feel benefit other members. 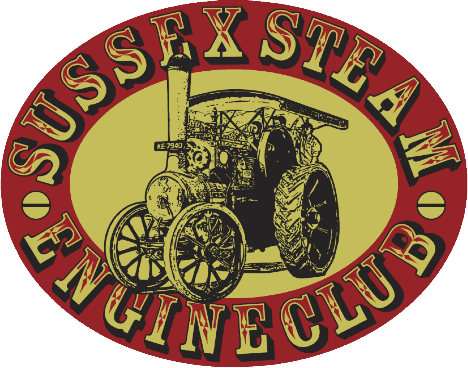 The Sussex Steam Engine Club was founded in 1993 by a small group of enthusiasts who felt that while Sussex had a strong steam movement; it had no local club to consolidate their interests. The Club was established with the objective of promoting and encouraging the preservation of the steam traction engine and since the first meeting has grown into a popular and friendly organisation. For many years members of the Sussex Steam Engine Club have actively participated in our annual end of year road run, which takes place in East Sussex during October. Additionally in 2018 the Club celebrated its 25th Anniversary by organising a spring road run in East Sussex, which is likely to be repeated. These events have both proved to be very popular with engine owners, non-engine owning members and the general public, thereby helping to keep steam traction alive on the roads of Sussex. Through the winter months of October to April the Club meets on each second Friday, when a guest speaker or film presenter entertains and educates members and their guests on subjects relating to our hobby. In December we enjoy a very popular Christmas Dinner. Periodically through the year we publish “Steam News” our club magazine, in which members are kept up to date with news and details of forthcoming events along with articles submitted from among themselves. Today the Club can enjoy the celebrity of those many engines owned by its members that are seen at rallies not only in Sussex and the wider South East but Countrywide. Similarly membership of the club is wide, with members from elsewhere in the UK and also overseas. One of the biggest traction engine rallies in the South East of England is held annually at the foot of the South Downs at Wiston, North of Worthing and is organised by members of our club. The Committee meet every 6 weeks to manage the Club and consider suggestions from its members. The well deserved winners of this years award has been presented to the team of volunteers who have worked tirelessly to present the Wiston Steam Rally over the years. Thanks to the Searles and team for assisting for accommodating us for the day. More on the Steam Apprentice Page. Please see our membership page for details of membership or follow the link for a membership form. Please feel free to get in touch with any questions. We will endeavour to get back to you as soon as possible. We would welcome any photos or interesting articles for future use.